Mr. Steven Michael Bollenbach, age 65, passed away Wednesday, June 21, 2017. He was born in Muskegon, Michigan on January 4, 1952 to Mike & Bettie (Kemperman) Bollenbach and married Sharon Bartschi on August 6, 1988. Steven achieved many different medals and standings for wrestling both in high school as well as in college. 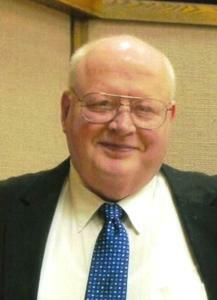 He qualified for the 1975 NAIA All-American Wrestling Team, where he placed third in the nation. He was also a member of the Michigan All-Star wrestling team vs. Japan in 1978. Mr. Bollenbach earned a Bachelor of Science in Physical Education and Science from Grand Valley State University in 1977 and later received his Master of Arts Degree in Educational Leadership from Western Michigan University in 2004. He was a loved and respected teacher, athletic director & coach. Steven coached wrestling, football, volleyball, track and many other sports at various locations including Muskegon MI, Hanna WY, Hulett WY, Stevenson WA, and Lame Deer MT. As a wrestling coach, Mr. Bollenbach coached 18 individual state championships, 14 high school All-Americans, 58 state placers & 6 USA wrestling national placers & was four time coach of the year. His other passions included hunting, fishing, gardening & swimming in Lake Michigan. Steven was a member of The Church of Jesus Christ of Latter-day Saints. Wife of 28 years Sharon; daughter Kellie (Tim) Hecht; granddaughter Ella Hecht; brothers Tom (Laure) Bollenbach, Brad (Char) Bollenbach; sister Michealle (Steven) Cleveland; mother-in-law Gwen Bartschi; brother-in-law Grant (Tracie) Bartschi; sisters-in-law Carolee (Mel) Hansen, Ruthann Bartschi; chosen family Glenn & Kaye Sheaffer, Melissa (Scott) Wynsma, Jeremy (Jessica) Sheaffer, Jonathan (Jamie) Sheaffer; 14 nieces & nephews; many cousins & friends. He was preceded in death by his parents, father-in-law Vern Bartschi, sister Bridgitte Bollenbach. Monday, June 26, 2017, 1:00 pm with visitation one hour prior to the service at The Church of Jesus Christ of Latter-day Saints with Bishop Wayne Fuller officiating. MEMORIAL: Muskegon Rescue Mission or Blue Lake Public Radio.